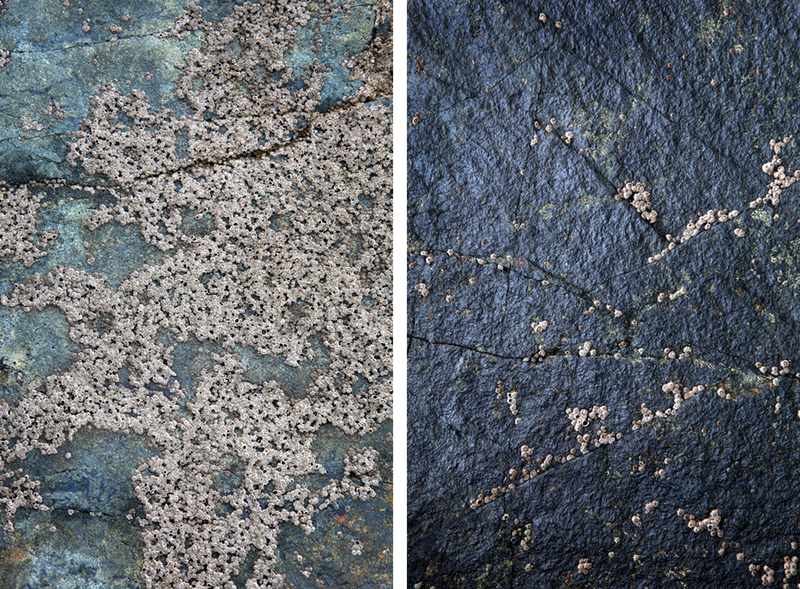 I love the weathered and battered rocks around the Cornish coast, the colours and textures of the lichen are beautiful. Here is a small series of images I took on Marazion beach opposite St Michael’s mount . 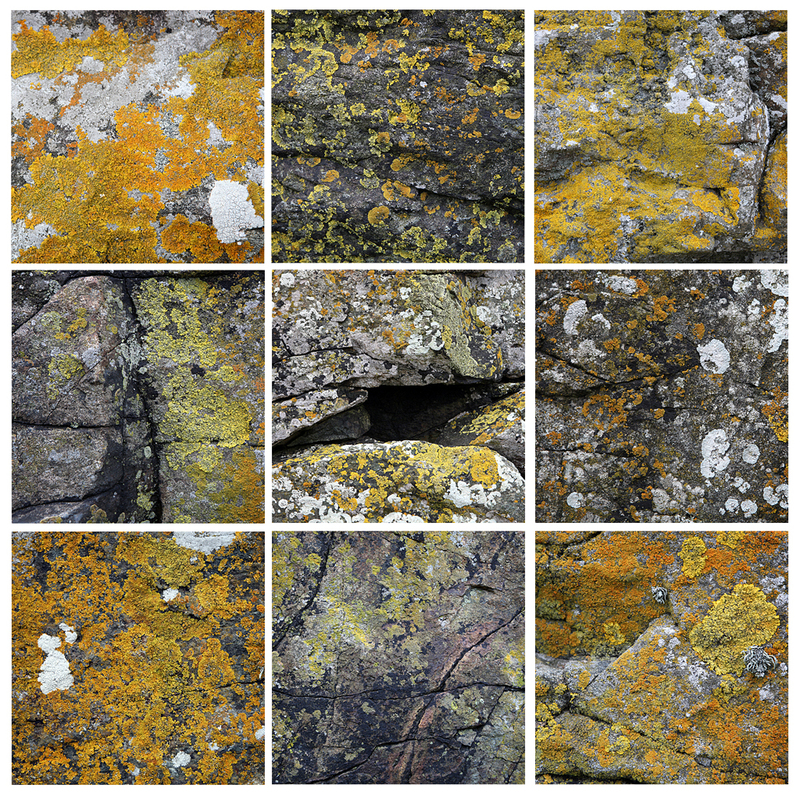 If you love lichen you must check out this website about British lichens. Enjoy! Rocks at Marazion showing barnacles. I love the colour and the complete lack of scale, it could be an aerial view of the earth or microscopic photography. These two shots were taken within yards of each other yet as one faces south and the other north their colours are quite different. Funnily enough the barnacles prefer to face south! So would I!